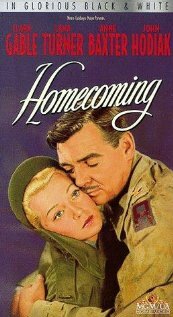 113 min [ The Stirring stoy of a Dangerous and romantic journey ] - Self-absorbed Dr. Lee Johnson enlists with the Army medical corps during World War II, more out of a feeling that it's "the thing to do" rather than deep-seated patriotism. On his first day, he's put into place by 'Snapshot', a sassy and attractive nurse. Their initial antagonism blossoms into romance. Lee then finds himself torn with guilt over being unfaithful to his wife, Penny, who's waiting for him back home.